The Compound blends steampunk with horror when 6 young people are subjected to a terrible experiment that ensures an unfamiliar horrors. When the Bilsleigh family in House Hunters flee the city for a better life everything seems perfect until they unearth a mysterious object, setting off a series of catastrophic events. Changeling, a darkly wicked Christmas horror story, where nothing is as it seems. Dark Elixir distinguishes as a more varied compilation of stories from Voice in the Mirror by blending more mixed genres. Voice in the Mirror includes 3 tales of haunting and possession. Each protagonist is a male. 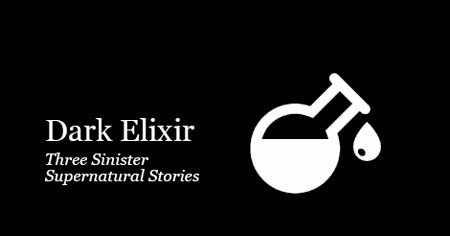 Dark Elixir explores more varied territory. The Compound hosts a female protagonist: Charlotte one of the victims of a horrific scientific experiment. The Changeling is an ensemble cast of family members who are confronted with dreadful truths about themselves. House Hunters features a middle aged professional male and father who is already dealing with family crisis when his children open Pandora’s Box. 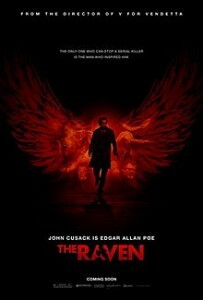 Film director, James Mc Teigue, draws thematically on the poem The Raven and the poet’s life. 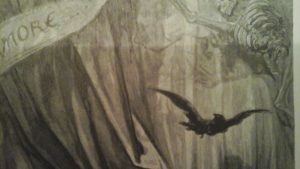 The poem depicts the narrator lamenting over lost love, where the raven is a messenger from the land of the dead and a symbol of death. Even though the narrator is haunted by the lover and death, the poem asserts that although death conquers life it doesn’t destroy love. This theme is embodied in the film where the fictitious Poe is prepared to surrender his life for his lover. The film deviates from the poem and the facts of Poe’s life. Unlike, the poem, the film is a hybrid genre of historical fiction, Gothic horror, thriller and crime story. Laced with violence and gore, the film is not recommended for young viewers or the faint hearted. Mc Teigue’s thriller relies on a number of the Poe’s gruesome tales where a deranged fan sets about to re-enact some of Poe’s most grisly tales. He must be stopped before he works his way through Poe’s entire compilation of stories. This is a compelling and chilling thriller that sustains suspense throughout keeping viewers on edge until its grim finale.